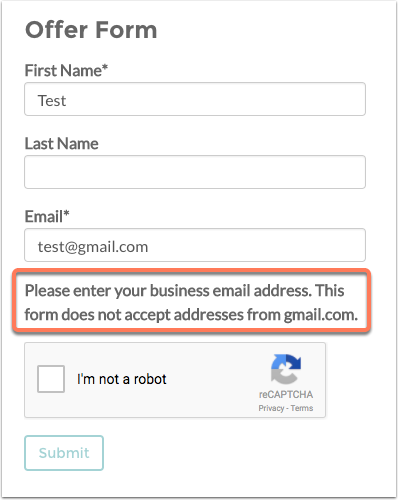 You can prevent visitors with email addresses at certain domains from submitting your HubSpot form or pop-up form. Click the name of a form. 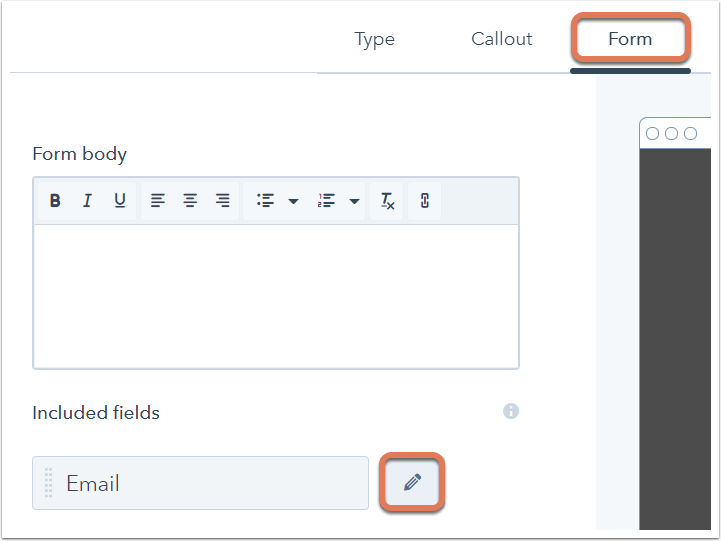 In the form editor, hover over the Email field and click edit Edit. Enter the domains you want to block in the Email domains to block field, separated by commas. Enter only the root domain without the www prefix or @ symbol (e.g., enter gmail.com , not www.gmail.com or @gmail.com). (Optional) Select the Block free email providers checkbox to block HubSpot's default list of free domains. 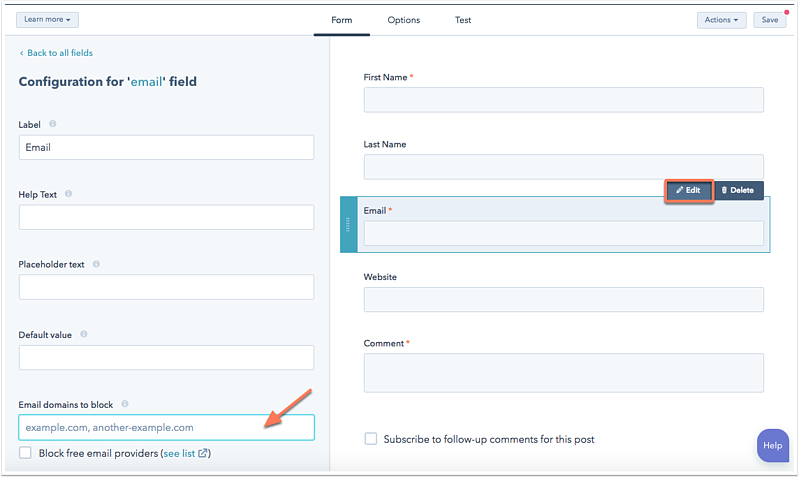 When a visitor attempts to enter a blocked domain in the Email field on your form, they will see a message asking them to enter a business email address. Click the name of a pop-up form. In the left pane, click the pencil icon edit on the right of the Email field. When a visitor attempts to enter a blocked domain in the Email field on your pop-up form, they will see a message asking them to enter a business email address.